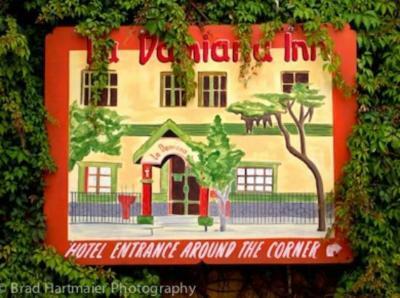 Lock in a great price for La Damiana Inn – rated 9.3 by recent guests! 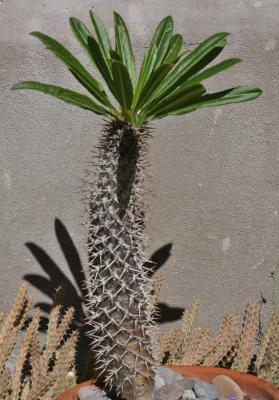 I loved the setting and decor of this colonial style hotel, as well as, the beautiful patio and tropical plants. 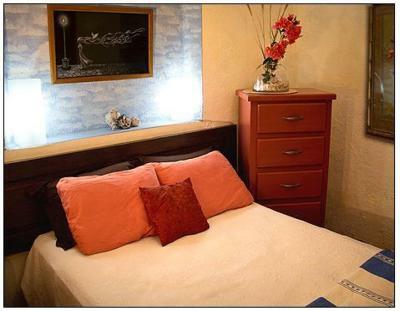 It is also within walking distance to the central plaza and waterfront. The owners are very nice and friendly people. Perfect place, staff, and Debbie the owner adds a personal touch. Very chill. Recommended. The location is perfect--right in the center of Loretto, but not too noisy. The bed was comfortable. the garden was a wonderful place to hang out, and the outdoor kitchen was a great place to make breakfast and meet the other guests. We felt very welcome and it was lovely to have a shared kitchen where we met other travelers. The hot coffee and milk in the morning was a perk as well. The location was central to everything. Gerardo (one of the owners) was very welcoming. 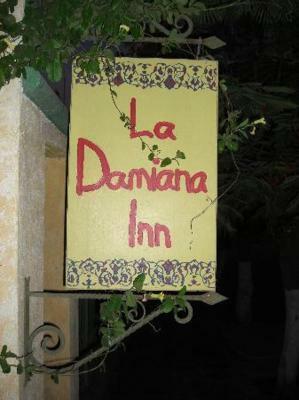 La Damiana is an adorable inn. It's location is very close to the central plaza. 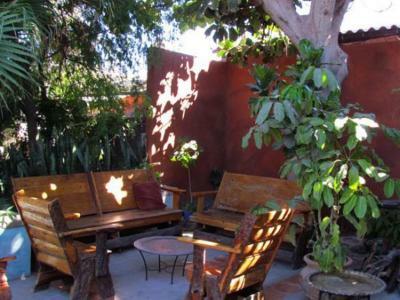 There is a large shared, outdoor kitchen and garden space that make spending time at the inn very pleasant. 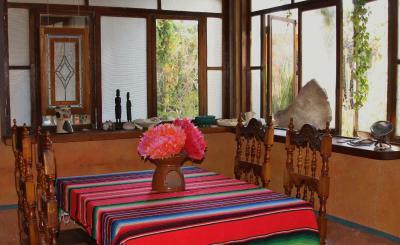 Gerardo is a wealth of local information and was able to recommend wonderful places to eat and drink. 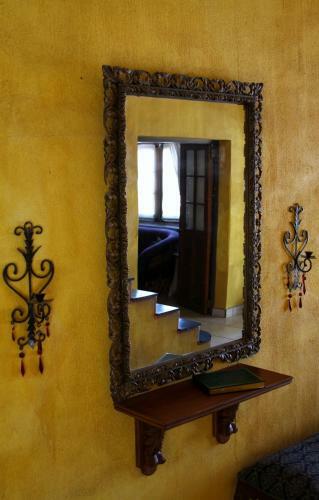 My only regret is that my partner and I didn't have more time to stay at La Damiana. We hope to find the opportunity to return soon. Our room was lovely and charming, very cozy and comfortable. There is a communal kitchen, so you can make your own food and not have to eat out for every meal. It also makes it easy to meet and talk to other guests and staff. The staff is wonderful as are the owners. Also, it’s pet-friendly which is extremely important to us. We really loved it! 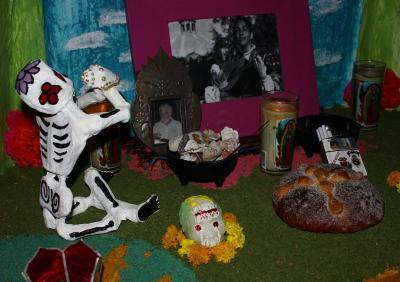 The hosts, Debora and Geraldo, are wonderful, warm, and engaging people. 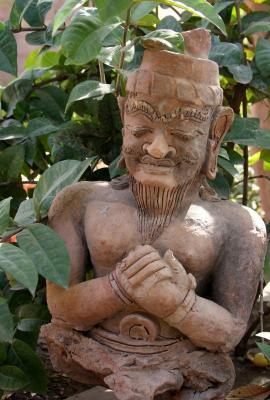 Excellent communication before and during our stay, they are genuinely interested in your well being. Their staff are all helpful as well. 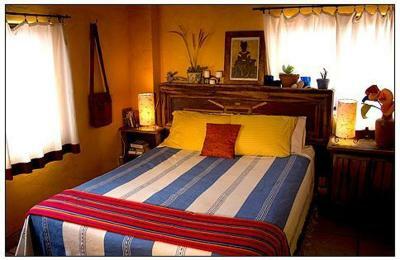 The inn, a former residence, is very casual, with seven rooms, numerous public areas, and a full kitchen to share. 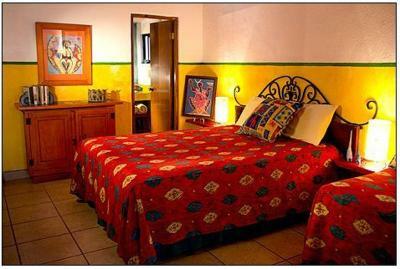 The grounds are tropical and colorful, and the inn is centrally located to the town plaza, bank and numerous restaurants, coffee, and the Malecon is a five minute stroll away. The inn is clean and felt safe. It’s a lovely place, charming and cozy. Theres a well-equipped kitchen, which we always love. The staff were very friendly and helpful. It was a wonderful experience and we are planning to return. Terrific, cozy place. Staff is great. Other travelers great. Beautiful place. Nice communal space with garden, kitchen, and patio. 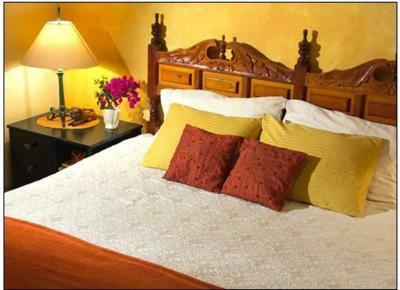 La Damiana Inn This rating is a reflection of how the property compares to the industry standard when it comes to price, facilities and services available. It's based on a self-evaluation by the property. Use this rating to help choose your stay! 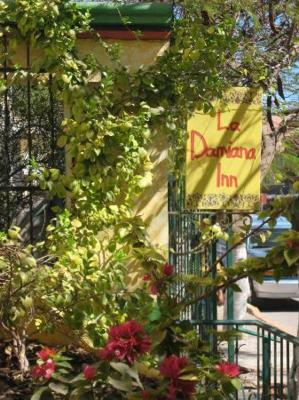 Featuring a garden with BBQ facilities, La Damiana Inn also has a fully equipped outdoor kitchen and outdoor dining. Free public parking is available to guests. 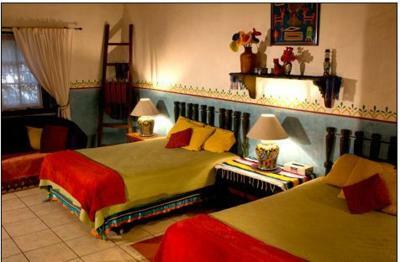 The air-conditioned rooms have Mexican décor and offer free Wi-Fi. The private bathrooms feature a shower and free toiletries. 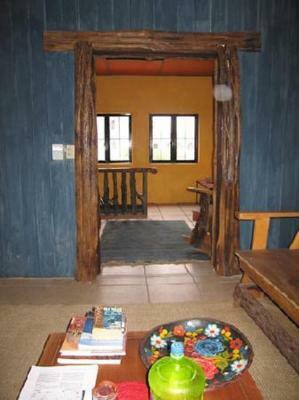 Activities such as hiking, fishing, diving and snorkeling can be found in the vicinity of La Damiana Inn. 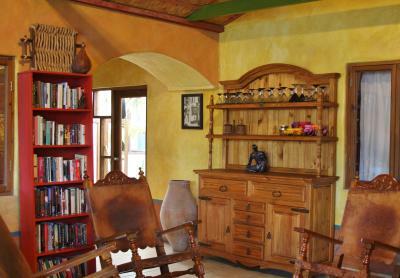 The property also has a library and massage service. 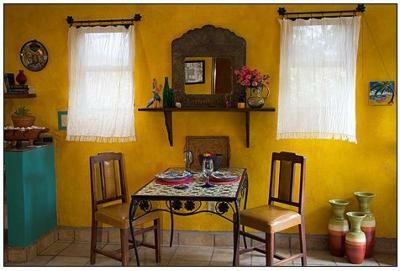 Puerto Escondido can be reached within 25 minutes by car. 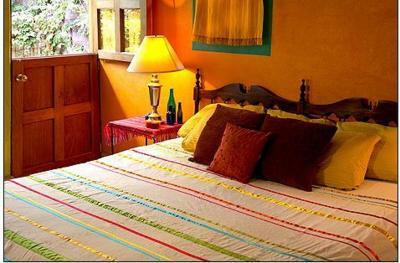 When would you like to stay at La Damiana Inn? 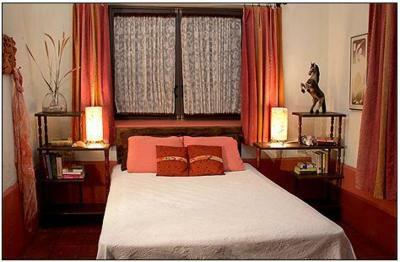 These spacious air-conditioned rooms offer either 1 king-size bed or 1 queen-size bed and 1 single bed. 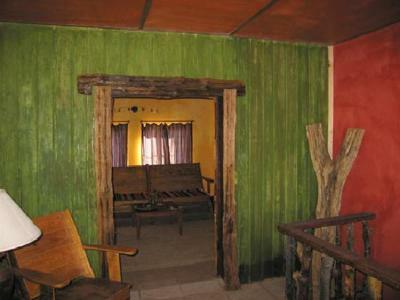 Each one features artistic décor, free Wi-Fi, a ceiling fan and a private bathroom. These air-conditioned junior suites may consist of either 2 rooms or 1 extra-spacious room. 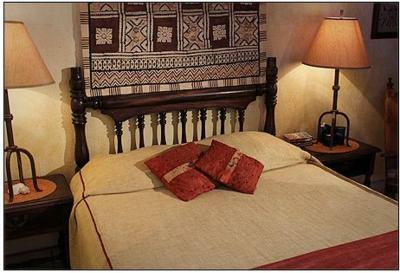 Each one features artistic décor, 2 double beds, free Wi-Fi, a ceiling fan and a private bathroom. 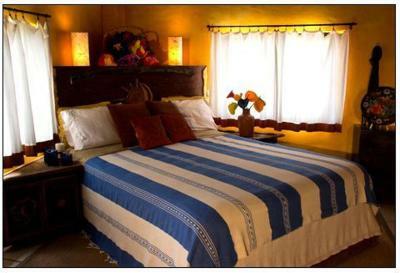 House Rules La Damiana Inn takes special requests – add in the next step! 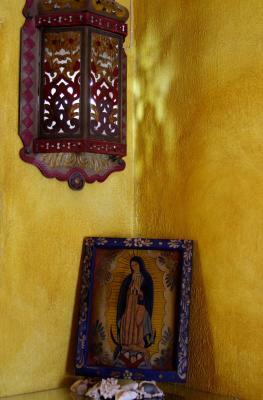 La Damiana Inn accepts these cards and reserves the right to temporarily hold an amount prior to arrival. If you are a light sleeper, ask for a room away from the main street. My room was right on the street and I heard traffic noise until 2 am. Location of hotel. Friendly design of room and lobby. Very friendly and caring staff. Great location. Our room was next to a busy street, so a bit noisy until 10 pm. One weekend night there were loud bands in a couple of bars. Very gracious staff and nice location. Shared kitchen was nice and grounds were very pleasant. I’m hard pressed to think of anything. Really. Great location with easy walk to the beach and town, beautiful garden/patio, and kind hosts. Our room was large and had a great shower. Very relaxing stay overall. The only problem is that they were working on the street right next to our room so it was noisy in the morning. Nothing. It was perfect for us and our two dogs.